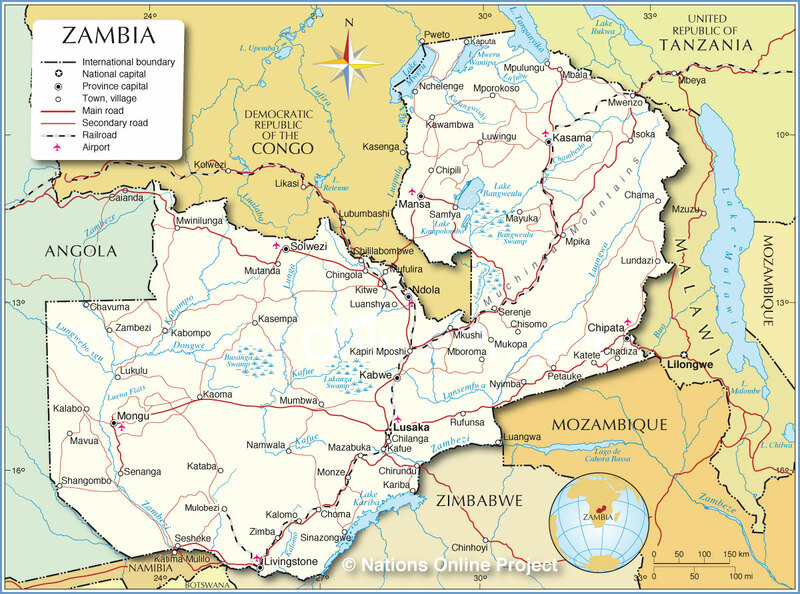 The landlocked countries of Malawi and Zambia are little-known to the rest of the world, yet they occupy very strategic positions in the continental interconnectivity projects and Hybrid War projections. Zambia is situated smack dab in the center of north-south and east-west corridors, while Malawi – for all of its poverty and underdevelopment – is still located in a strategic space between the future gas giants of Tanzania and Mozambique and the forthcoming logistical powerhouse of Zambia. 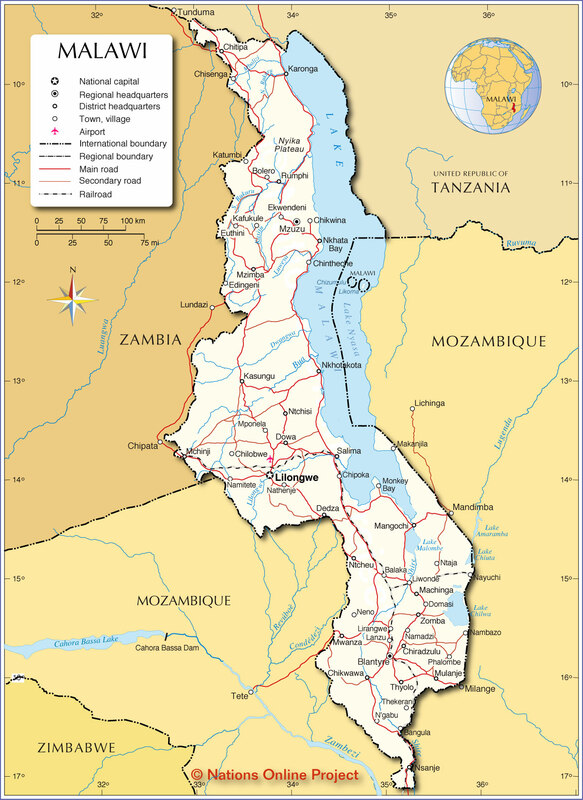 Due to Malawi and Zambia’s shared history as separate British colonies and even part of the same one under the Federation of Rhodesia and Nyasaland, as well as their neighborly and landlocked status, it’s appropriate to discuss both of them in the same chapter about Hybrid War. The above map visually depicts Zambia’s geostrategic importance in Africa through the perspective of New Silk Road connectivity. It lies at the center of multiple intersecting infrastructure projects and has the potential for linking them all together to forge an integrated sub-equatorial coast-to-coast transit system in this part of Africa. 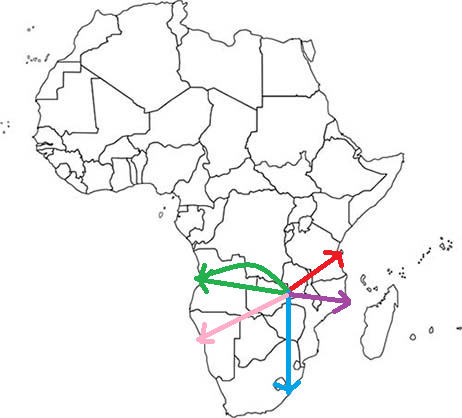 Furthermore, if an interconnecting route was to be made between Tanzania’s TAZARA and Kenya’s LAPSSET Corridor (i.e. bridging Dar es Salaam and Lamu via Mombasa), then it would be conceptually possible to join Ethiopia’s nearly 100-million-strong marketplace and the Addis Ababa-Djibouti railroad to this transcontinental mainland transportation line. Even barring the expansion of this network past the equator and into the Horn of Africa, the Zambia-intersecting sub-equatorial rail matrix makes the South-Central country one of the continent’s most influential pivot spaces, and accordingly, a very likely victim for Hybrid War. Zambia is the key component to the larger transcontinental New Silk Road interconnectivity project that’s taking shape in sub-equatorial Africa, and it accordingly ties all of the projects together into an integrated whole. If Zambia were to be destabilized in any significant way, then it would immediately throw this multipolar vision into jeopardy, either disrupting it partially or wholly, or allowing a third-party state (i.e. the US) to acquire influence or control over the entire structure. For this reason, it’s integral for Zambia to strictly adhere to its traditional complementary policies of independence and stability, as any major deviation from either of these could create problems for the rest of the international network that transits through the country. In evaluating the Hybrid War threats facing Zambia, four in particular stand out, including both general and ‘conventional’ scenarios and those which are more specific and asymmetrical. It should be kept in mind at all times that the US is known for its phased and adaptive approach to destabilizing targeted countries, and that it doesn’t always aim for regime change per say. Sometimes it’s only hoping that certain events (regardless of the amount of control that the US directly exercises over them) can result in enough pressure that the intended government tweaks their policies in conformity with the US’ interests. Other times, it wants to do more than overthrow the government and actually aims for a ‘regime reboot’, or in this case, a complete domestic reformatting of the country from a unitary republic to a divided federation. Regardless of what the physical result ultimately ends up being, the guiding motivation is always to either disrupt, control, or influence the multipolar transnational connective infrastructure projects in question, which in this case are the five such ones that transit through Zambia. It was evident that Zambia was at risk of an incipient Color Revolution even before the summer 2016 election resulted in a narrow margin of victory for the ruling party. The government was forced to shut down the main ‘opposition’ newspaper after it accumulated millions of dollars in overdue tax arrears, with the owner obviously flouting the law with the expectation that the government wouldn’t dare to move against it out of fear of being accused of an “anti-democratic crackdown”. “The Post” completely misjudged the authorities and was shut down a little over one month before the 11 August election. Shortly after that, ‘opposition’-led clashes killed one person and injured several others, after which the government temporarily suspended campaigning so as to allow both sides to cool down and deescalate the tensions between them. This worked in the sense of preventing another outbreak of pre-electoral violence, but it didn’t mitigate the ‘opposition’s’ pent-up anti-government energy that eventually burst out in the aftermath of the vote. United Party for National Development (UPND) candidate Hakainde Hichilema alleged that the ruling Patriotic Front led by incumbent President Edgar Lungu defrauded the ballot and illegally pulled off his victory, demanding a recount which he believed would rectify the results and give him the presidency instead. The government refused to cave into the pressure and insisted that Lungu rightfully won the election with 50.35% of the vote compared to Hichilema’s 47.67%, which in turn prompted the UPND to reject the official tabulation. The national situation remains very tense because of this, and it’s possible that some elements of the ‘opposition’ might be planning a Hybrid War to help them seize power. Even if the present drama is resolved, that doesn’t take away from the fact that the country is almost evenly divided into two separate political camps for the second time in just as many years. During the extraordinary 2015 vote that was called in response to incumbent President Sata’s unexpected death, Lungu beat Hichilema 48.33% to 46.67% by the razor-thin difference of nearly 27,000 votes and was therefore accorded with the right to serve out the rest of his predecessor’s term before the next round of elections, which he won by a slightly more comfortable (though still narrow) margin. The geographic nature of this division follows the general north-south split between the Bemba and Tonga’s zones of influence, indicating that tribalism might finally be on the verge of becoming a palpable political factor. In hindsight and judging by the results of the latest election, this scandal might have been effective in reinforcing the incipient regional-tribal politicized identity that is perniciously creeping to the fore of Zambian politics. Should this trend continue, then it will almost certainly catalyze a larger centrifugal process whereby the decay of inclusive socialist-era Zambian patriotism accelerates to become an all-out rapid post-modern degeneration into regionalized, tribalized, and then perhaps even localized identities that split the country into halves and possibly even divide it further into a multidimensional mix of militantly conflicting variables (“stereotypical African tribal warfare”). More than likely though, the immediate effect of Zambia’s descent into domestic violence would see the western and southern parts of the country teaming up against the northern and eastern ones, though it might not be the Bembas and Tongas that end up starting a war for political power, but the Lozi in “Bartoseland” that spark one for independence or Identity Federalism. The Lozi account for only about 5.7% of Zambia’s 15 million people, but they’re sparsely spread throughout most of the expansive Western Province and have historic kingdom claims to nearly 44% of the country’s entire territory if one includes their pre-colonial footprint in the contemporary Northwestern and Southern Provinces. The Lozi’s homeland of Bartoseland became a protectorate of the UK in the late 19th century and came to constitute the vast majority of the then-province of Barotseland-North-Western Rhodesia prior to its merger with its counterpart of North-Eastern Rhodesia in 1911 to form Northern Rhodesia, which would later become Zambia after its 1964 independence. It was right before the country’s freedom from the British that the Barotseland issue returned to the national spotlight, as all sides agreed to the Barotseland Agreement in that year which gave the region broad autonomy over its civil affairs. Kaunda, however, rescinded this in 1969 following a constitutional referendum that equalized each province’s status and tangentially ended up changing Barotseland’s name to the Western Province (with its historical territory in the modern-day Northwestern and Southern Provinces never having been administratively incorporated into its namesake entity). The topic subsequently remained a non-issue for decades until the past couple of years ago when activists made a fuss about it on several occasions and ended up in jail for their attention-seeking stunts. There were even riots in the regional capital of Mungu in 2011 and 2013, but these were quickly quelled by the authorities. Since then, Barotseland has been a slowly simmering problem that threatens to rise to the surface in the coming future, and it might just receive foreign encouragement because of the geostrategic implications that it would have. Although Barotseland only encompasses the Western Province, its historical claims stretch into the Northwestern one and up to the DRC border, which could theoretically put the separatist-federalist entity right in the middle of the Northwestern railroad project to Angola’s Benguela, or in other words, cut right into the middle of the Southern Trans-African Route’s (STAR) Congo-alternative ‘detour’. The proposed Zambian-Angolan rail connection is much more geopolitically reliable than the Katanga corridor due to the DRC’s inherent instability and proneness to large-scale and disruptive conflict, so the inability to construct the Northwestern railroad due to a possible Barotseland secessionist campaign would deal a heavy blow to the long-term strategic security of STAR. Moreover, even if a future Barotseland conflict with the newly formed “Barotseland Liberation Army” or other groups never directly interferes with STAR, the ensuing domestic political configuration that might occur through the granting of autonomy to the region or even federal status might produce an uncontainable contagion effect that spreads throughout the whole country, possibly leading to its full-on devolution and the granting of quasi-independent autonomous/federalized status to the Northwest Province as well. Zambia is already giving more power to the provincial and local governments as per the 2013 Decentralization Policy, and this initiative could be exploited by regional-tribal actors such as the Barotse, or even the Bemba and Tonga in the event of large-scale post-election clashes between them, in order to promote a nationwide devolution of power which would transition Zambia from a unitary state into a series of autonomous or federalized statelets. It’s difficult to predict if, or when, this might happen, but should any form of significant conflict break out in the DRC, Malawi, Zimbabwe, Mozambique, or perhaps even Angola or Tanzania, then the wave of Weapons of Mass Migration that might crash into the historically stable state of Zambia could totally upend the domestic harmony that’s pervaded the country for decades and push it to the brink of civil breakdown. The ‘opposition’-manufactured tension between the Bemba and Tonga, to say nothing of the separatist desires of a progressively loud segment of the Lozi in Barotseland, could be inflamed and each respective identity group might see a valuable window of opportunity for promoting their agenda amidst the confusion and disorder that a large-scale migrant influx might bring. It’s not to imply that the arrival of thousands of migrants would instantly lead to a reversal of law and order in the country, but that it would indeed cause a divisive reaction among the locals and cause unforeseen budgetary, administrative, and policing pressures which could in turn worsen existing institutional stresses. Depending on the intensity of the onslaught, it might either progressively or rapidly overwhelm these said entities and contribute to the perception of state weakness – one which opportunistic non-state actors and ‘opposition’ parties might be keen to take advantage of. Despite its location at the crossroads of South-Central Africa, Zambia has yet to experience a massive inflow of migrant/refugees from its neighbors, and even so, it was much more politically and socially cohesive under the Cold War presidency of Kaunda to handle any such contingency. The situation is dramatically different nowadays, and as the elections clearly exhibit, the country is sharply divided into two competing political factions, the balance of which might be disastrously disturbed by the sudden introduction of this rogue and ultra-unpredictable third-party element.